Salvage Secrets Design & Decor out TODAY! Hard to believe this day has finally come! 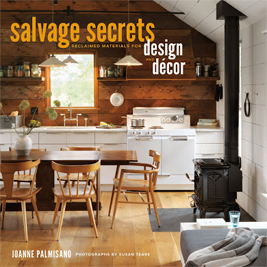 After two years of working with the incredible Joanne Palmisano, I am so excited to hold the book, Salvage Secrets Design and Decor, Transforming Your Home with Reclaimed Materials (W.W. Norton & Company, Inc.) in my hands! Thanks Joanne for the opportunity, FUN and inspiration. Forever grateful for the time spent working with you. "Where I'm Supposed to Be" is the title of the article about Craig's work in the most recent issue of Design New England Magazine now on the newsstands. We had a lot of fun working together this past winter taking the photos along with Jack Whitney shooting video and my daughter assisting. 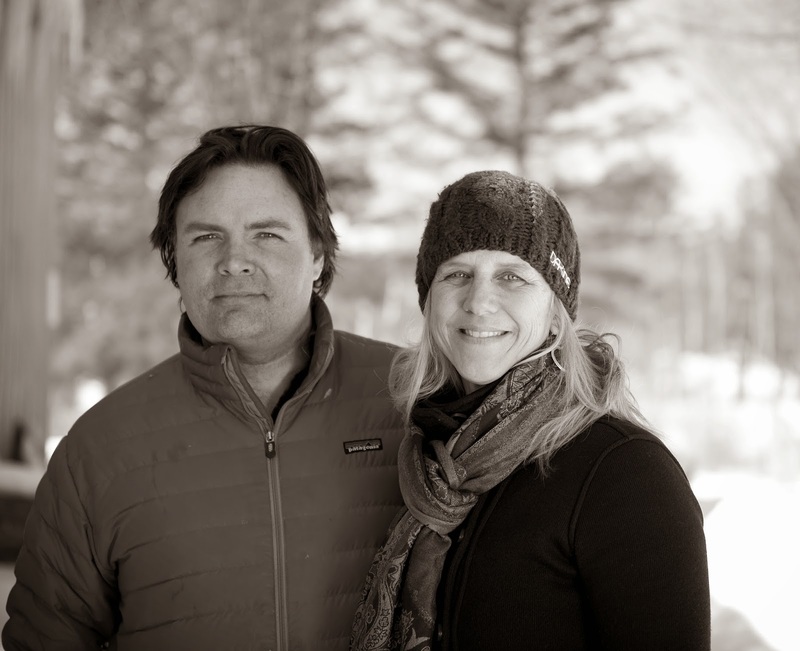 You can see Craig's most recent oil paintings at the West Branch Gallery in Stowe, Vermont. "Vermont designer Milford Cushman's rebuilt home reflects a fresh commitment to creating spaces where beauty dwells"
I have had the honor of photographing this beautiful home over the last few years at all times of the day throughout all of the seasons. I am so happy it is being shared with the world! The magazine article just hit the newsstands. 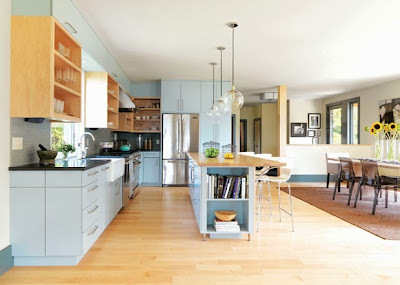 Thanks Charlotte Albers for the great article on HOUZZ! I have great memories of photographing many of the projects in the book with author, Julie Moir Messervy a couple of summers ago. 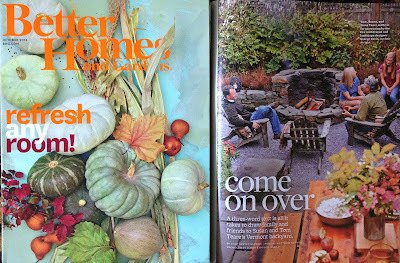 The timing of the article is perfect with the beginning of spring in Vermont. I can't wait to start shooting some new landscape designs, as well as starting my own garden projects at home! "Palmisano is full of eclectic advice and essential tips (for example, how to find out what those salvaged planks really look like underneath the paint and grime) for scroungers, reusers and upcyclers. Her new book is no girly, lacy, shabby-chic catalogue: The rooms whose appeal Palmisano analyzes include big art, modern furnishings and industrial metals, and she clues you in on the décor trends you'll want to know about to incorporate them." Thanks to the Denver Post for kicking off an exciting launch of the new and second Salvage Secrets hitting bookstores on May 20th! Joanne and I are currently in CA doing speaking engagements and book signings. We'll keep you updated on everything as we get closer to the release date! 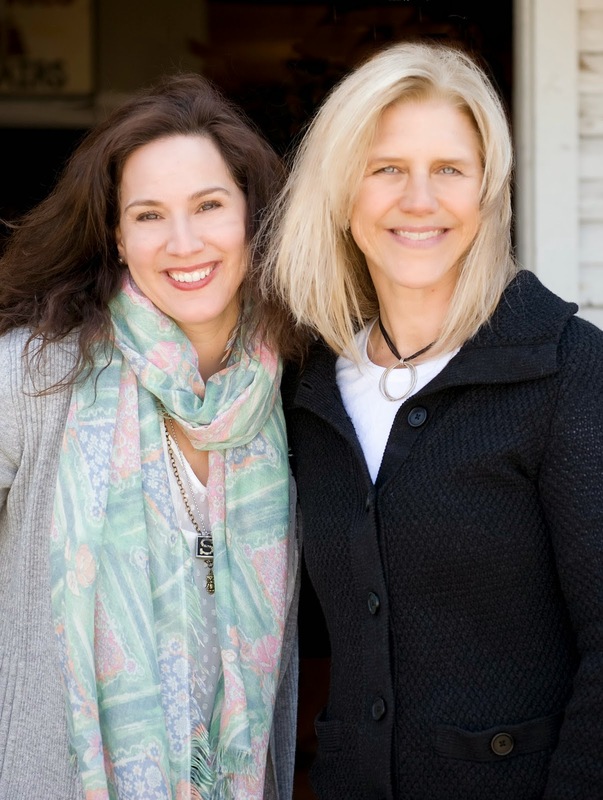 I am working with Joanne Palmisano today getting caught up on the many projects we collaborate on together! 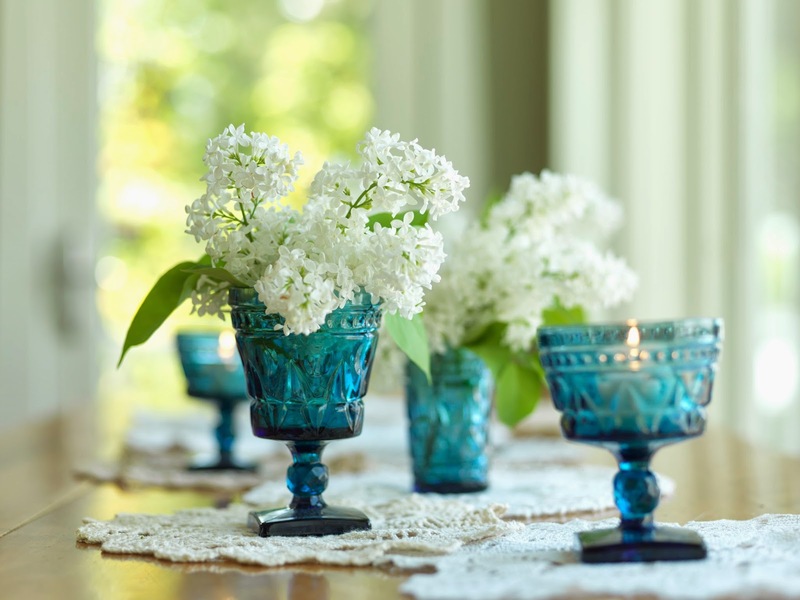 She and I shot some GORGEOUS displays designed by Joanne with lilacs last spring and they are now live on DIY NETWORK They show how you can take simple, everyday items around the house and make beautiful arrangements for any occasion. Think spring!! Winter is in its final weeks here in Vermont and we have lots of great snow! 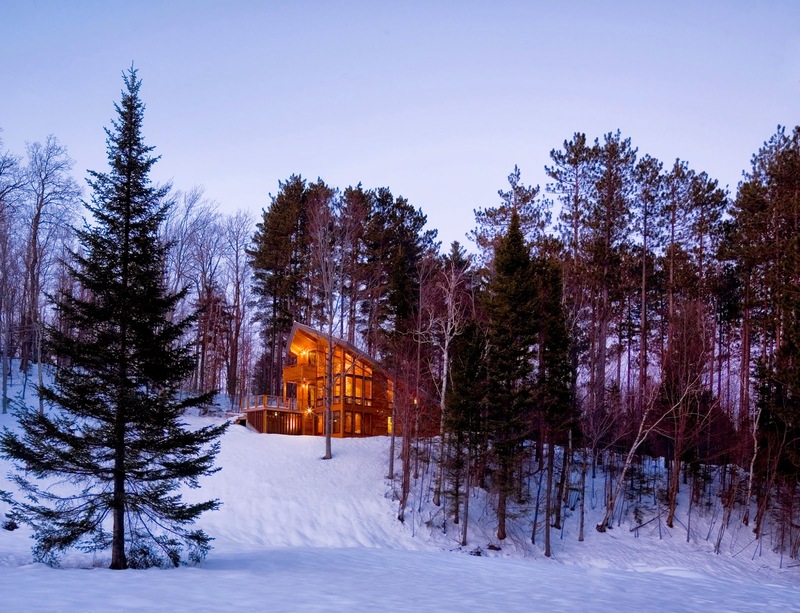 As I am preparing for a shoot tomorrow with Design New England Magazine and getting my snowshoes out, I wanted to say how happy I am that the January~February issue featured this vacation home shown above designed by architects and owners, Jim and Laure Cowey. This is one of my all-time favorite winter shoots even though it was negative fifteen one of the mornings I was there! Thinking about spring? I am! 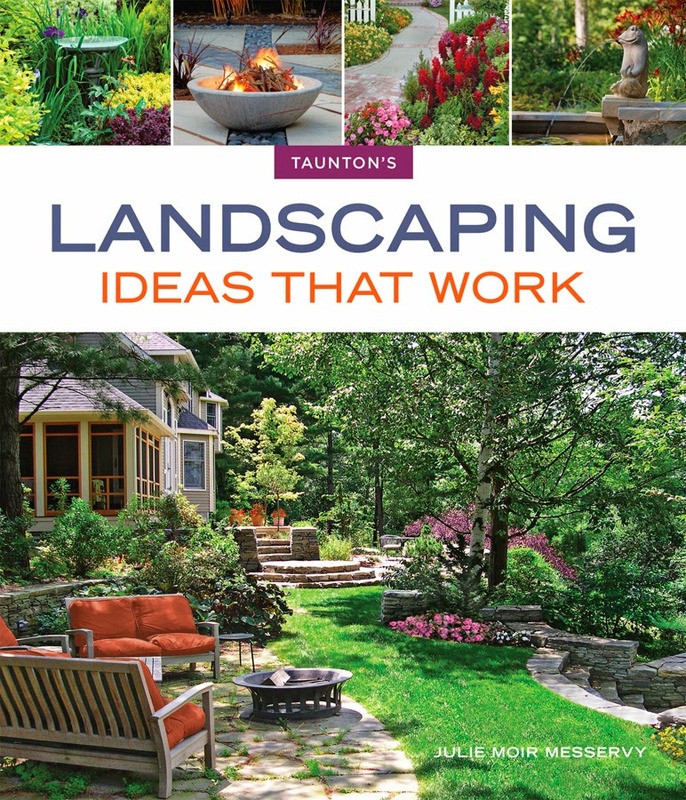 I had the honor of working with Taunton Press, Julie Moir Messervy and Julie's talented team shooting landscape designs for one of Taunton's most recent idea books. 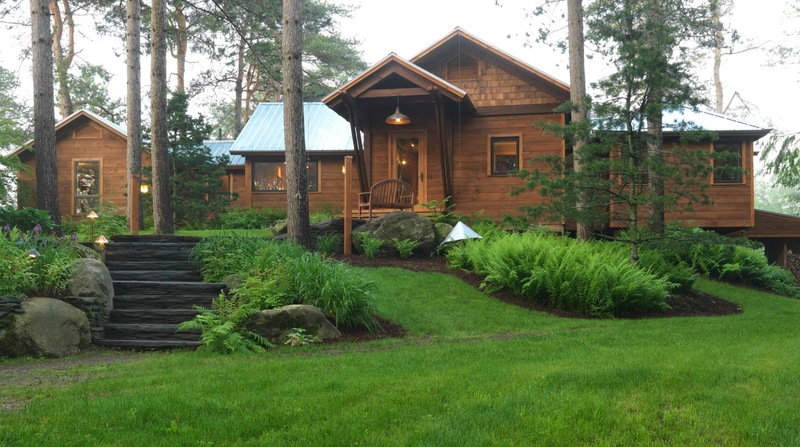 If you are dreaming about getting out in the garden again when the snow melts, you can also check out JMMDS's online landscape design service. Cheers! A BIG BIG thank you to George Zavis, Karin Lidbeck, Jane McKeon and Matthew Benson for creating, producing, writing and photographing our backyard patio and fire pit story. "Come on over" pretty much says it all! Joanne's DIY videos go live!